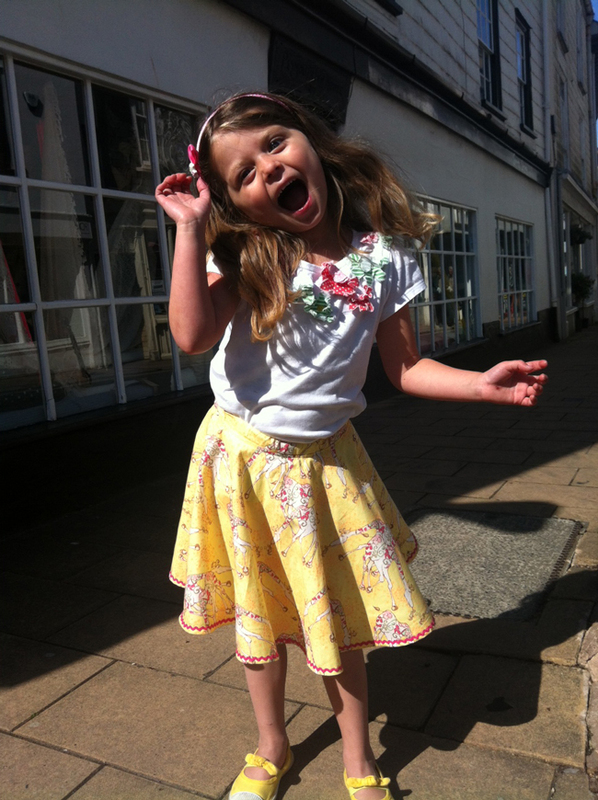 Mia-moo wearing the giraffe printed circular skirt using #5102 -a quilting weight cotton– made by Jane (making the pattern AND making it took less than an hour). She has a frou frou net skirt to go under here when she’s feeling more frou-frou. You need to remember your school geometry lessons to make a circular skirt without a pattern. It’s that moment you realise your grotty teenage self was wrong when they said they’d never need to know this pi-R-squared rubbish.